Now that the entire San Diego Comic Con (SDCC) 2018 programming schedule has been released, attendees are making their plans for panels. 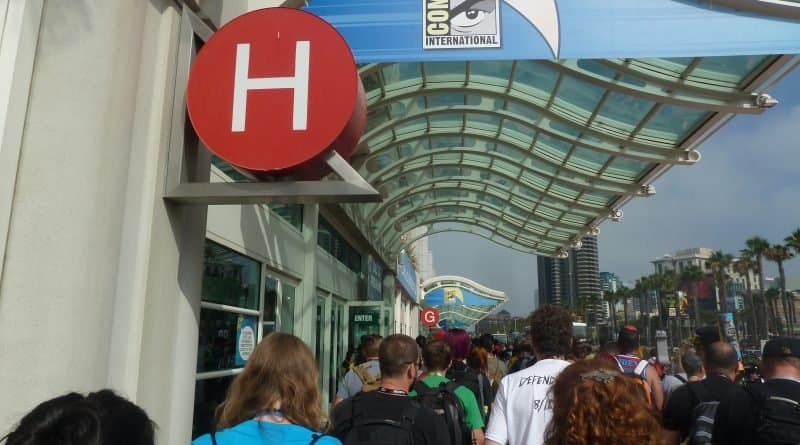 Many of those plans include a visit to Hall H. As in prior years, SDCC staff will be distributing wristbands in a Next Day Line every night, to allow entrance to the following day’s panels. However, this year there is a change. 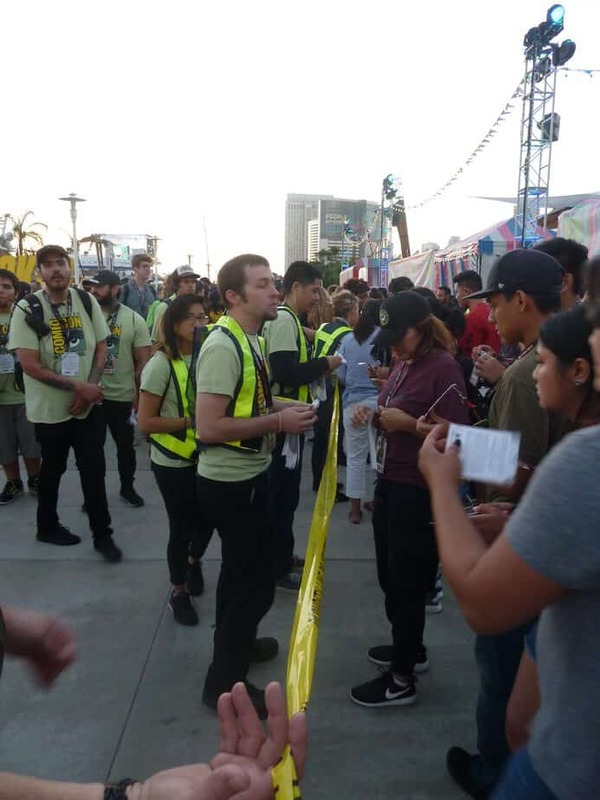 Instead of simply handing out wristbands, Comic Con staff will also be scanning badges as they do so. Those who enter Hall H the next morning must have both a wristband and a scanned badge in order to enter. This new security measure means that wristbands will not be transferable, as they go with the scanned badge. 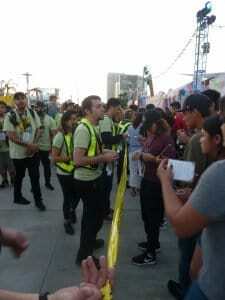 This may slow down wristband distribution, so attendees should be patient as they wait for their wristbands. Are you planning to attend panels in Hall H at SDCC 2018? Join the conversation on the FoCC forums!